The month of January has a reputation as a dumping ground for theatrical releases the studios don’t have much faith in. In the case of The Boy, the latest directorial effort from William Brent Bell (The Devil Inside), you can see why. 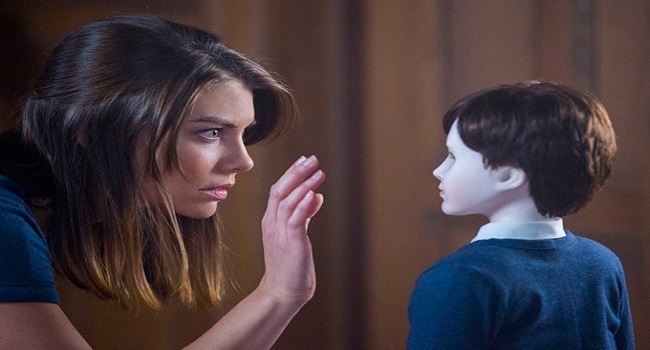 Lauren Cohan (The Walking Dead) stars as Greta Evans, a young American on the run from a bad relationship, pursuing a job opportunity in the English countryside, as nanny to Brahms, the young son of the reclusive Heelshires (Diana Hardcastle and Jim Norton). It’s only when Greta arrives at the Heelshire estate that she discovers Brahms is actually a porcelain doll whose “parents” treat as a real boy. After the Heelshires depart on holiday, leaving Greta in charge of the doll with a detailed routine and list of rules, local deliveryman Malcolm (Rupert Evans, The Man in the High Castle) tells her the story of the real Brahms, who died in a fire over twenty years previous. That’s when the weird occurrences–strange noises, missing objects–start. Is there more to the doll than meets the eye? The Boy makes for a fairly routine gothic melodrama. Any viewer who’s ever stood downwind of a horror movie should be able to work out most of the major plot developments: for example, when we learn that Greta took the job to escape her abusive ex-boyfriend Cole, it doesn’t take us long to work at what point Cole will eventually turn up at Heelshire Manor, and what will happen to him after he does so. (Admittedly, the film borrows its big third-act twist from a source obscure enough to have slipped by most members of a casual audience.) Plot issues don’t end at predictability; many of the beats depend on the characters taking “stupid pills” and consistently overlooking the safest and most obvious course of action at almost every turn. Bell’s direction mostly works, wringing a suitably creepy atmosphere out of Craigraddoch Castle in British Columbia (although he does break the illusion by having Greta fix herself a PB&J sandwich). Admittedly, he depends heavily on jump-scares and “Hey! Look behind you”-style shots (which composer Bear McCreary is more than happy to punctuate with obtrusive orchestral stabs). Overall, The Boy is less of an exercise in suspense than surprise. 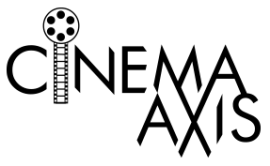 The cast are the strongest element, overall, of the production. Cohan and Evans make for engaging leads (even though the characters are written to be at least ten years younger than the actors), although I do have some gripes about the former’s work in the film’s midsection. Hardcastle and Norton are the MVPs, bestowing the elder Heelshires with a gravitas and sense of tragedy that counterbalances some of the story’s other flaws. Ben Robson (Vikings) and James Russell put in memorable performances in comparatively minor roles late in the game. The Boy isn’t a complete waste of time, especially if you’re the sort of horror fan who likes to shout at the characters about how stupid they are. But it’s certainly not worth braving the bitter January weather to buy a full-price ticket for. Wait till it shows up on streaming or at your local Redbox kiosk. The Boy kind of looks like Alfred E Neuman, doesn’t he? Glad I wasn’t the only one who thought that! Between this and The Forest, 2016 hasn’t been shaping up very well on the horror front. I’m hoping things will pick up this month with the release of THE WITCH (which I saw last fall and is completely awesome).